I blew the mind of one of my Babson College students this morning. Like most people, he believes that success is measured by how much money you have and how much money you make. By that measure, no single individual is the world’s most successful. 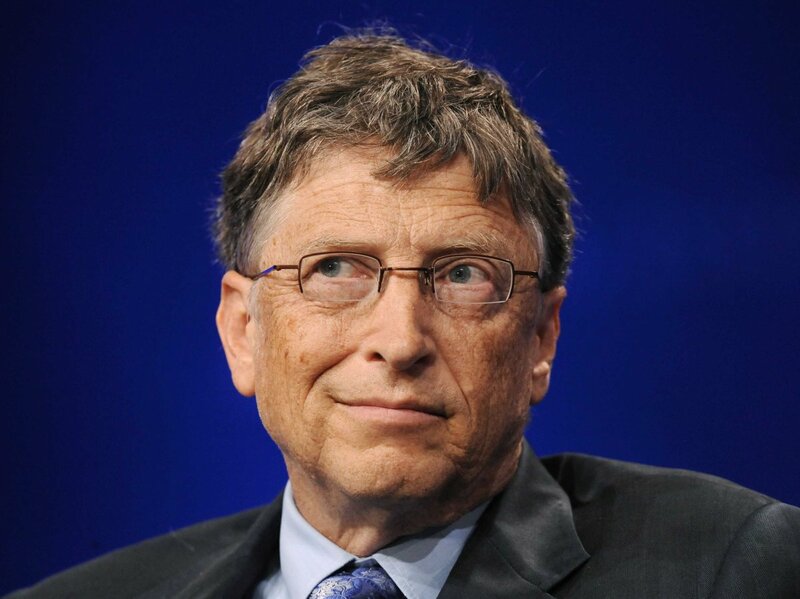 After all, Bill Gates — who has an estimated net worth of $79 billion, according to Forbes — probably has the most money, but I sincerely doubt he makes the most money every year. That title probably goes to a hedge fund manager. For example, Ray Dalio — who runs the $120 billion (assets under management) Bridgewater Associates — pulled in a cool $3 billion in personal earnings last year, according to Forbes. But if you believe success means both having the highest net worth and getting paid the most every year, then neither Gates nor Dalio is successful. That’s because the pursuit of the most wealth or the highest annual income is success only if you keep winning every year. Otherwise, you are going to spend time trying to figure out how you can get to be No. 1 — rather than taking pleasure in what you have achieved. Simply put, unless you’re top dog, the unpleasant view never changes. It is for this reason that somewhere along the way, I figured out a different definition of success — success is controlling how you spend your time — that blew the mind of my student this morning. Just to be clear: I am not declaring a vow of poverty. In fact, I believe that for many people, controlling how to spend their time is the kind of success they can achieve only after they have earned enough money that they no longer have to worry about paying their bills. Many people never achieve that level of financial security. But I do not believe that a net worth of $80 billion is necessary to get to the point where you can cover your likely future obligations. If you get there by doing what you want to be doing and it makes you happy, then I consider you successful. But if you get there by working a grinding job that pays well but makes you miserable, then you need to stop and ask yourself whether you should get off the hamster wheel and figure out what you really want to be doing with your life. My advice to the student was to think about what he has enjoyed doing in the past and what has been less interesting to him. Based on that self-assessment, I suggested that he should make some guesses about what he would like to do. Am I passionate about the work? Am I one of the world’s best at doing this work? Will the market compensate me well enough for it? Generally, people do not know whether, say, investment banking, consulting, running a startup, or asset management will satisfy all these tests. Therefore, I advise students to seek out informational interviews with people in those fields. The networking practice they get in trying to set up these interviews will be inherently valuable. Once they set up such interviews, I advise them to ask people how they would answer the three above questions. In your company, are there people who are really passionate about their work? What do they do differently than those who are mostly there to pay their bills? In your field, what are the key things that the most talented people do that differ from the ones who are merely competent? Is the compensation that people receive in this field satisfying or frustrating? What is the difference between people in your company who feel fairly compensated and the rest? If students conduct 10 to 15 such interviews, they should be able to assess whether they would be happy working with people in that field. And it would be even better for them if those informational interviews led to internships that would allow them to immerse themselves more fully in those fields. To my mind, my students will achieve success only when they are happy in their work — and to do that, they must be passionate about it, excel in their field, and receive positive recognition from the market. I don’t know Gates or Dalio, but it seems to me that they control how they spend their time — and the money is just a nice thing that comes along with that.